Russia has launched a criminal investigation over a failed rocket launch to the International Space Station, according to reports. 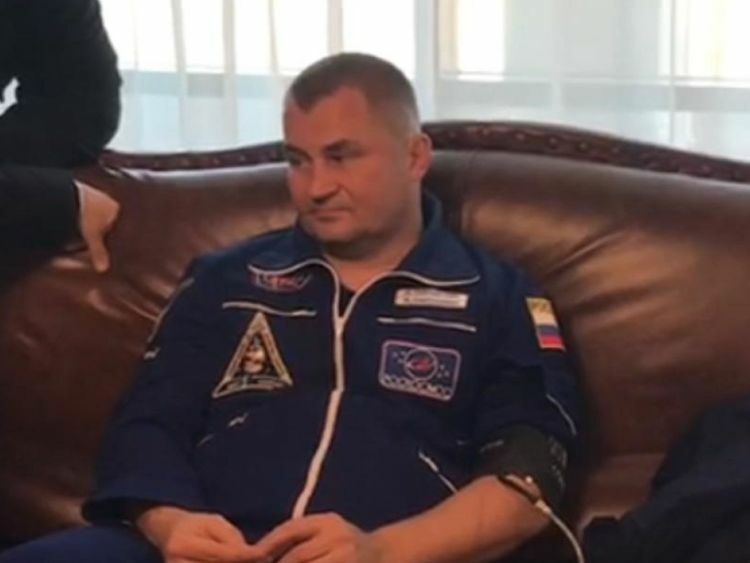 A US and Russian astronaut were forced to make an emergency landing shortly after the mission got underway, with their Soyuz rocket having suffered significant engine failures. It was an unprecedented mishap for the Russian space programme and the AFP news agency claims a criminal investigation is now underway to determine whether safety regulations had been violated during construction. Despite the issue affecting the booster rocket, NASA’s Nick Hague and Roscosmos’ Alexey Ovchinin are alive and have touched down in Kazakhstan. They landed about 12 miles east of the city of Dzhezkazgan, and officials from Russia’s space agency said rescue workers have managed to reach the crew – who are now understood to be out of the capsule. A comparison of the booster separation in a normal Soyuz mission and today’s by meteorologist Greg Dutra apparently shows increasing debris and a less-symmetrical jettison stage this morning. All Russian manned space launches have been suspended after the incident, according to Russia’s RIA news agency. “Thank God, the crew is alive,” said Vladimir Putin’s spokesman, Dmitry Peskov, to reporters. The deputy prime minister added that they hoped the US would be “understanding” about the Soyuz indent, according to reports. The ISS crew members currently in orbit have been “notified of the launch contingency”, a NASA spokesperson added. Although the journey was expected to take six hours, it was only a few minutes after blast-off at the Baikonur cosmodrome in Kazakhstan that problems with the rocket became apparent. The managing editor of NASA Spaceflight reports how an onboard view of the launch showed the crew being shaken around during the launch, and says “the staging was clearly off-nominal”. Footage broadcast on Russian television shows a series of billowing smoky explosions occurring as the booster rocket stage fails. Spaceflight historian Gunter Krebs noted on Twitter that the situation reminded him of another Soyuz rocket failure in 1972, when “an in-flight booster failure occurred and the crew was rescued after ballistic re-entry”. Ballistic re-entry is a much steeper form of re-entry, involving only the forces of gravity and aerodynamic drag to slow down the speed of fall. Malfunctions causing ballistic re-entry have occurred a number of times with Russia’s series of Soyuz rockets. The NASA Spaceflight editor said: “You can be sure Soyuz launches will be grounded indefinitely.